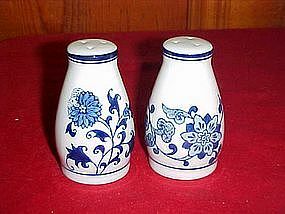 Pretty flow blue onion porcelain salt and pepper shakers. Measures 3 1/2" tall and have plastic stoppers. Excellent condition. From Pier 1.